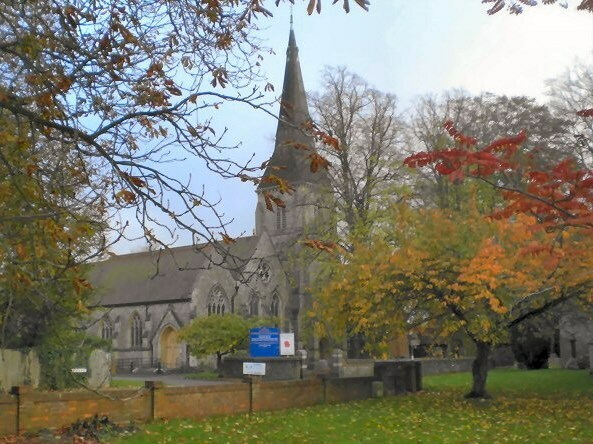 The church of St. Mary the Virgin, now the parish church of Caterham, stands on the crest of the hill opposite the old church. It is of flint with stone dressings and is built in the Early English style. Enter the churchyard gate and on your left you will see the horizontal pink granite grave of Francis John Bligh who died May AB CDEF in his 81st year.